Vác is a Baroque city on the left bank of the Danube Bend with attracting buildings, streets and a wonderful Danube promenade. The city has been a bishopric seat for more than a 1000 years and it is sometimes called as the city of culture due to the bishopric monuments, its exceptional concerts and great museums. The spectacular monuments, the fantastic Baroque main square, the nice cafes, restaurants, and events all make Vác a perfectly ideal holiday destination. Cathedral Vác had a cathedral since the 11th century. The present-day building was commissioned by Bishop Christoph Anton Migazzi and built between 1761-77 in late Baroque style. It is the third largest cathedrals of Hungary open to the public. Its main altarpiece depicts Virgin Mary visiting St. Elisabeth. Town Hall and the Main Square of Vác The building is a marvelous example of the local, secular Baroque architecture. On the facade, we can see an impressive, wrought-iron balcony, the coat of arms of Hungary and the Migazzi family. 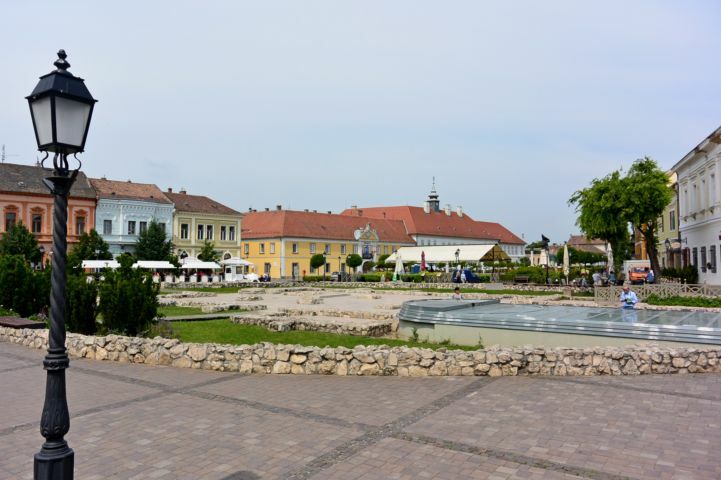 In the center of the main square is the Fountain of Sister Cities with the statue of John of Nepomuk. Ruins of the Medieval Castle The castle of Vác was built to protect the bishopric center in the city. The excavation of the castle, which was ruined by the end of the Ottoman era, is still ongoing. Some of its remains can be seen around the Géza király Square. There is a statue of Géza I on the reconstructed cannon terrace. 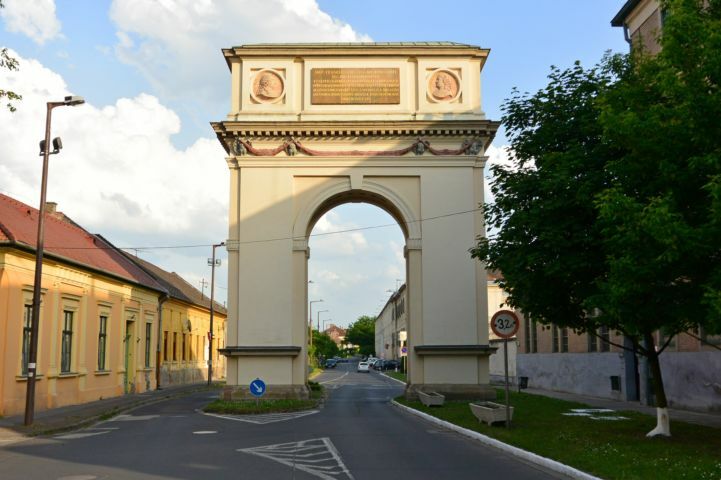 Triumphal Arch The only triumphal arch in Hungary was comissioned by Kristóf Migazzi in 1764 on the occasion of the visit of Maria Theresa. According to tradition, when the Queen learnt that the gate was constructed only in 5 months, instead of riding through she chose to walk past it. Church of the Whites The 18th century Rococo church was named after the white dress of the Dominican Order. The interior of the building is richly decorated and painted with light colours. 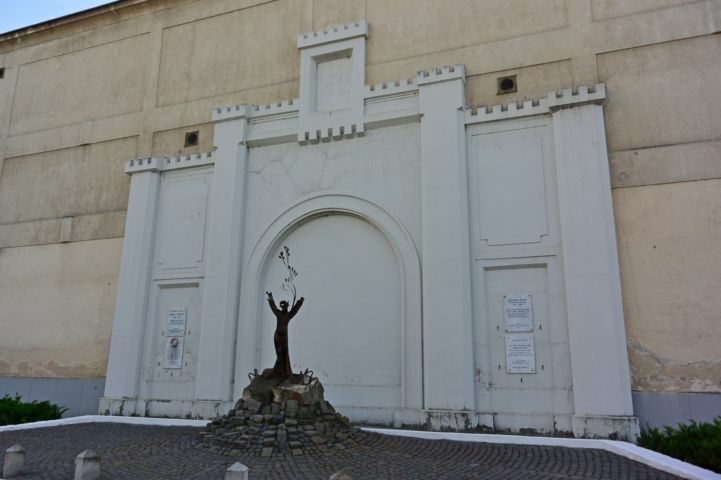 In 1995 a crypt was discovered below the steeple where 262 graves were found which can be seen at a nearby exhibition. National Institute of the Deaf and Dumb The building with medieval roots houses the first Hungarian school for the deaf and dumb opened in 1802. It was founded by jurist András Cházár. Mansion The medieval building was originally the home of the cathedral chapter but after it was rebuilt in Baroque style it became a lodging house. 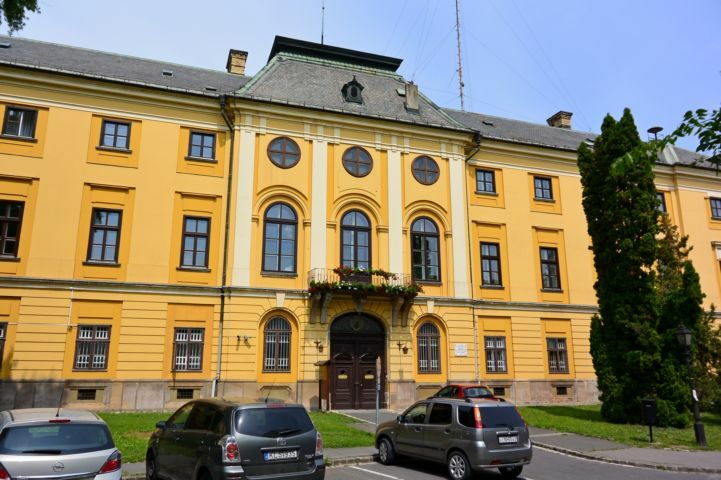 Today, it houses the Wine Museum, the Choco Cafe, and the Vác Smile Album where we can see works of the popular illustrator and caricaturist Ferenc Sajdik. Bishopric Collection of Vác and the Provost’s Palace The Baroque palace is the former residence of the provost. The building's facade is decorated with Classicist elements such as Ionic column capitals. Today the the palace houses the Bishopric Collection. The exhibition showcases medieval and Baroque items. Hospital and the Chapel of the Sisters of Charity The Baroque building was given to the Sisters by Christoph Anton Migazzi in 1785, who later turned it into a hospital. Inside there is a Baroque chapel, which has a ridge turret that can be easily spotted from the Main Square. Calvary Following the stations of the calvary built between 1726 and 1738, we reach a bastion-like chapel with statues on the top of the building. We will also see a beautiful panorama here. Franciscan Church and Friary The three nave Baroque church, built by the Franciscan Order between 1721 and 1761, is the oldest church of the city. A real treasure of its interior is the richly ornamented, two-storey Rococo altar which is the largest wooden altar of Hungary. The friary next to the church once housed a press. Greek Church The church was built by the settling Southern Slavic traders between 1793 and 1795. The church was used until World War II, but the congregation largely disappeared by that time, and in 1964 the building was purchased by the city. Today it houses temporary exhibitions. Bishop's Palace The late Baroque palace was built between 1768 and 1775 based on the plans of the Austrian architect József Meissl. Its notable features are its main gate, the three windowed main hall, and the garden with many rare plants. Piarist Church The members of the Piarist Order settling in the city built their Baroque church between 1725 and 1745. Its twin steeples were rebuilt in 1886. Inside there is a special Venetian mirror main altar. The altarpiece depicts Saint Anna and the child Virgin Mary. The Column of the Holy Trinity The sandstone statues were carved between 1750-1755 to commemorate the end of the plague. Prison The building originally housed the Theresianum, a Catholic school for young noblemen. Later it the Ludovika Academy operated here and it has been used as a prison since 1855. Pointed Tower The tower and the detail of the city wall is the only remaining monuments of the medieval Vác. It was named by locals after its cone-shaped roof. Bridge over the Gombás Stream The bridge leading over the Gombás Stream is one of the few Baroque bridges of Hungary still standing. 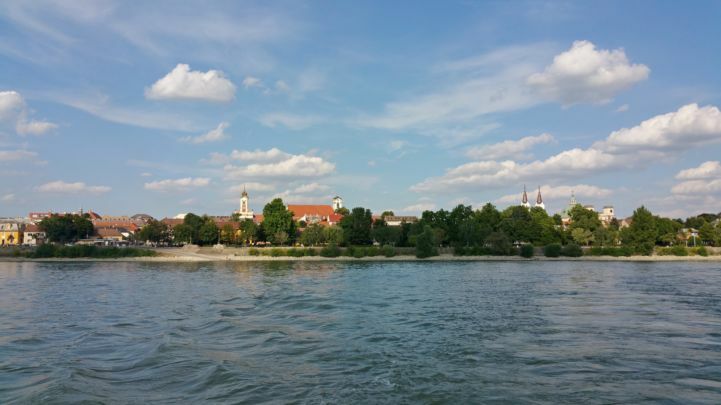 It was built between 1753-1757 and it was dedicated to the patron of bridges, St. John of Nepomuk. Crossing the bridge, we can see his statue among others . The Red House The house was built in 1731, commissioned by the bishop of Vác, Michael Friedrich von Althann, as a granary and a home for some of the servants. It has been named after its unique color which is the work of builders from Naples. Today it operates as a community center and a venue for concerts. Seven Chapels Church The construction of the church in the southern part of the city began in 1711. It was named after the seven shrines along the way to the church which represent the seven joys and seven sorrows of Mary. Since 1815, there is a pilgrimage to the church every year. The Soldier's Memorial The first memorial of Hungary commemorating the revolution of 1848-49 was built in 1868, one year after the compromise to honor the victims of the war. Caricature Collection (Smile Album) The exhibition showcases the oeuvre of caricaturist Ferenc Sajdik. He was the writer and illustrator of many books that were made into popular TV shows. Modern Art Collection The exhibition offers a representative collection of modern artists from the mass murderer Szilveszter Matuska to Salvador Dalí. Saint Michael Church The ruins of the medieval Saint Michael Church can be seen on the Baroque main square of the city. The remains of the crypt are sealed with glass and there is an exhibition inside presenting the history of the church. Art Collection of Vác Once operating as a guest house, today the Pannónia House is the home for many great exhibitions. Among theme is one showcasing the oeuvre of the Constructivist painte Gyula Hincz, works of bookbinder György Váczi, masterworks of European iron casting and even the sugar buildings of Béla Haraszti. Göncöl House By visiting the exhibition, we can learn about the formation of the Earth's surface through rocks, minerals and fossils. Vác was founded after the Hungarians arrived in the Carpathian Basin, it is one of the early bishopric seats. The country's first king, Stephan I organised the Bishopric of Vác which was mentioned by the historic sourced as early ad 1074. Due to the favorable natural conditions, the area have been inhabited for thousands of years. Today most of the linguists think that the name of Vác originates from a name of a person. 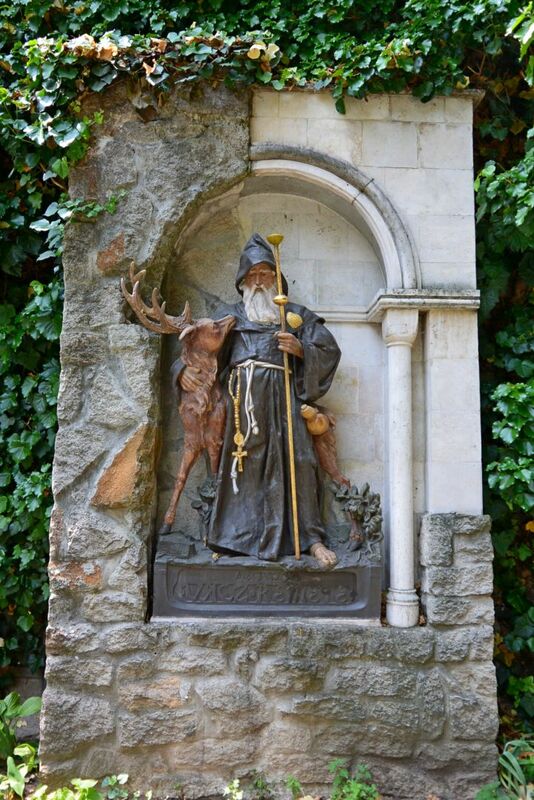 According to the Chronicon pictum, in 1074 when Prince Géza and Prince László and Prince Ladislaus visited the area, it was covered in forest where a hermit named Wach lived, and Géza named the settlement after him. Another theory states that the names comes from a Hungarian tribe (Vath), others think that is is related to "vác", a word with Slavic origins, meaning 'important settlement, center". The medieval center of Vác was the castle which stood on the spot of today's Géza király square. Géza I built the first church of Vác dedicated to the Virgin Mary following a pledge he made before a victorious battle. He was buried in this church in 1077. Vác always had a role in the wars of Hungary due to its central location. It was greatly damaged during the Mongol Invasions. After the armies left in 1242, the rebuilding of the city began under the reign of Béla IV. A new, Gothic church was built and it was surrounded by strong walls. The 14th-15th centuries brought a period of peace and prosperity in the life of the city. 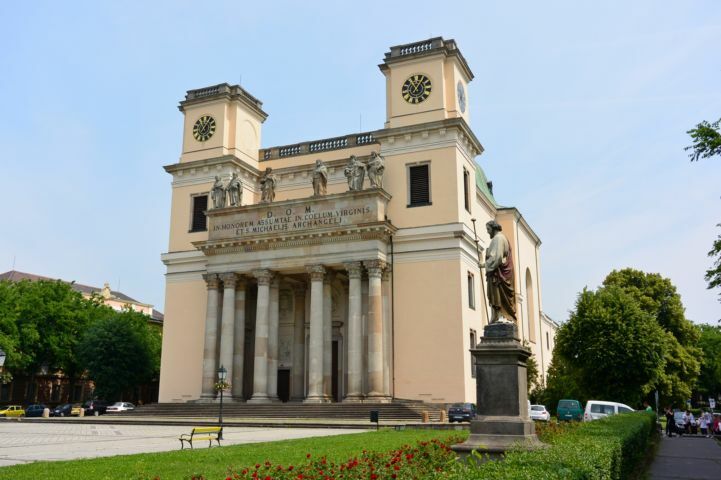 The uncle of King Matthias, the well known Humanist bishop Miklós Báthory renovated the Cathedral and reformed the Bishopric seat with Renaissance pomp. During this period, Vác was one of the architectural, cultural, scientific and social centers of the country. 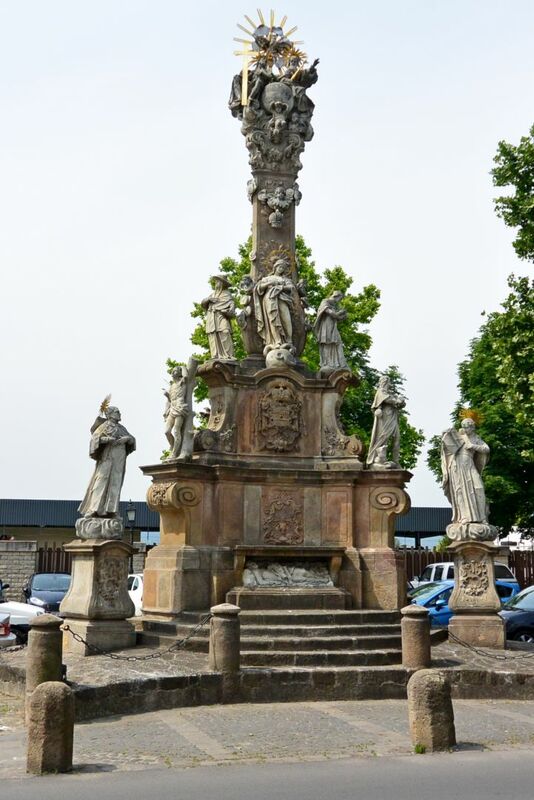 The city was favored by King Matthias who held royal meetings here. This golden age was ended by the Ottoman conquest and the nearly 150 years long occupation. In 1544. the Ottoman armies occupied Vác and stayed for half a century. The city served as an important strategical fortress as it lay on the borders of the two empires and at the meeting of trade routes. After the new system solidified, there was a period of peace, trading flourished and it was an important center of long distance trading in the country - the cattle that were being transported to German and Italian lands crossed the Danube here. The Ottoman-Hapsburg war that broke out at the turn of the century caused suffering to the people, and even the bridge was destroyed. After the end of the war, Vác belonged to the Hungarian Kingdom until 1620, and then became part of the Ottoman Empire again until 1684. During the expulsion of the Ottomans, the rulers of the city frequently changed. 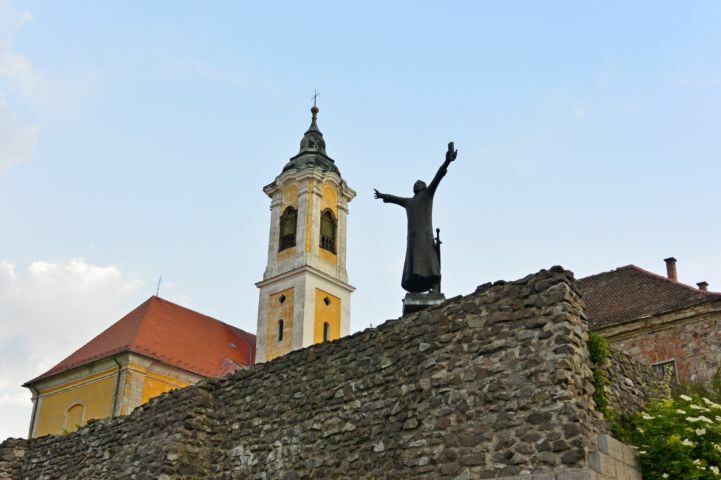 Both sides set the city on fire multiple times, Vác and its castle was looted and almost completely destroyed. Vác was finally freed from Ottoman rule in 1686 but by this year its buildings were completely ruined, it had no permanent population, its lands were unused. Even two years later only 39 people returned to the city. The bishops of Vác, Michael Friedrich von Althann, Karl von Althann, Károly Eszterházy, Christoph Anton von Migazzi were largely responsible for the development of the city structure of the present day Vác. The second half of the 18th century saw the construction of the new Cathedral, the Bishop's Palace, the Seven Chapels Church, the Franciscan church and monastery, the present day Town Hall, the Piarist Church, the Saint Roch Chapel, the Holy Trinity Statue, the Bridge with the Stone Saints, and the Red House. It took only six months to build the Triumphal Arch for the visit of Maria Theresa, which today is the only of such structures in the country. The first Hungarian train line was established between Pest and Vác in 1846. The steamboats of the Danube also had a station in the city. The city became modern, the streets were named and received public lightning. 1848-49 were the years of the Hungarian revolution for independence. Two of its great battles were fought in the city, and the first memorial for these events in the country was erected near the Seven Chapels Church. Following the Compromise of 1867, there was an era of peace and progress in the city. Developing industries, flourishing cultural and public life, many societies, events, colorful press were typical of these times. These developments attracted many people to settle down in Vác. By the beginning of the 20th century, Vác became a real modern city. A slow but steady progress was ended by World War I. In the interwar period, many new factories were built among them one for Kodak. 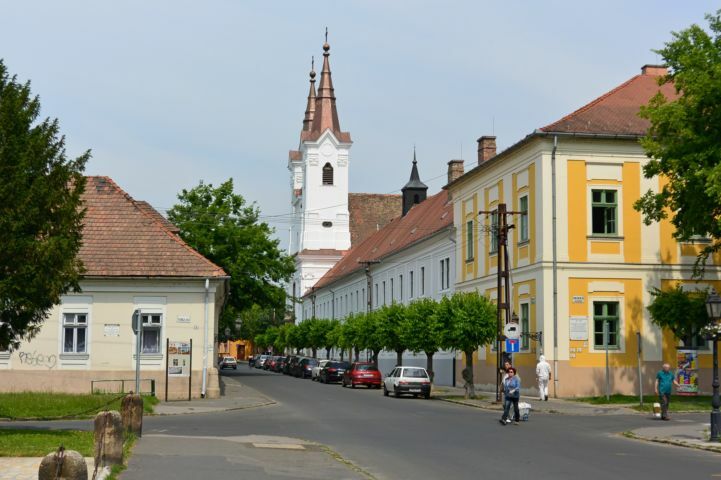 Many schools were opened, and Vác became a "school city". After the war, a large scale nationalisation began, big factories were established, and Vác was turned into an industrial city. The growing population needed new housed, and with the changing of the city, its society also changed. In 1989, with the change of the regime, the life of Vác reached a new turning point. The economy transformed and the city had new prospects. Today Vác is a dynamically developing city with modern infrastructure, active public life, and beautifully renovated historic buildings.